Senator Warren G. Harding (R-OH) was an advocate for Colonel Roosevelt during the Army Bill debates in April-May 1917. By the second week of May 1917 Woodrow Wilson and both houses of Congress were furiously negotiating and ironing out the details on an Army Selective Service Bill that would institute a draft. It may surprise some to realize that almost a month and a half after the U.S. declaration of war Theodore Roosevelt’s plans for creating his own force were part of that process. In early May the Senate approved a Draft Bill, with an amendment that would have allowed the Rough Rider to create a volunteer force of up to four divisions. Roosevelt had powerful champions and detractors. Old friend and mentor Senator Henry Cabot Lodge was a reliable ally. Senator Warren G. Harding of Ohio also backed Roosevelt’s wish to fight overseas. Lodge’s son-in-law, Congressman Augustus Peabody Gardner of Massachusetts, too was on board. Field Marshal Joseph Joffre, who was in the United States on a diplomatic and goodwill tour, also supported Roosevelt and his plan. Back in France, Clemenceau too wanted Roosevelt to join the fight. This is not surprising; the French were desperate and wanted as many boots on the ground as America could provide. The situation reached a new phase when the House scheduled for May 12 a vote on the Army Bill. Roosevelt telegraphed Harding and Gardner on the 10th that he had not intended his division plan to impede the greater need for conscription. He could not help adding a dig, however, that had his wishes been granted a month ago things would not have come down to this. The situation was so tense because sentiment was so divided. Opponents of Roosevelt’s plan were equally powerful and included Secretary of War Newton D. Baker, most of the senior military leadership, and President Wilson himself. 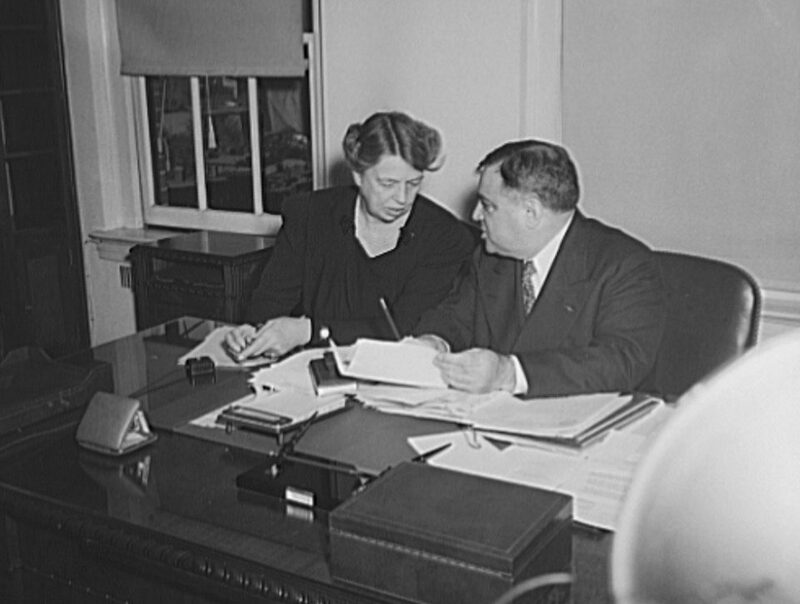 On May 12 the House of Representatives voted 215-178 to approve Roosevelt’s four division plan, sending the Army Bill back to conference where the House and Senate would further debate Roosevelt and the other complicated issues involved in raising the American forces needed to fight in the Great War.